Give your kitty the space and privacy he needs with the Jumbo Hooded Cat Litter Box and Scoop from IRIS. 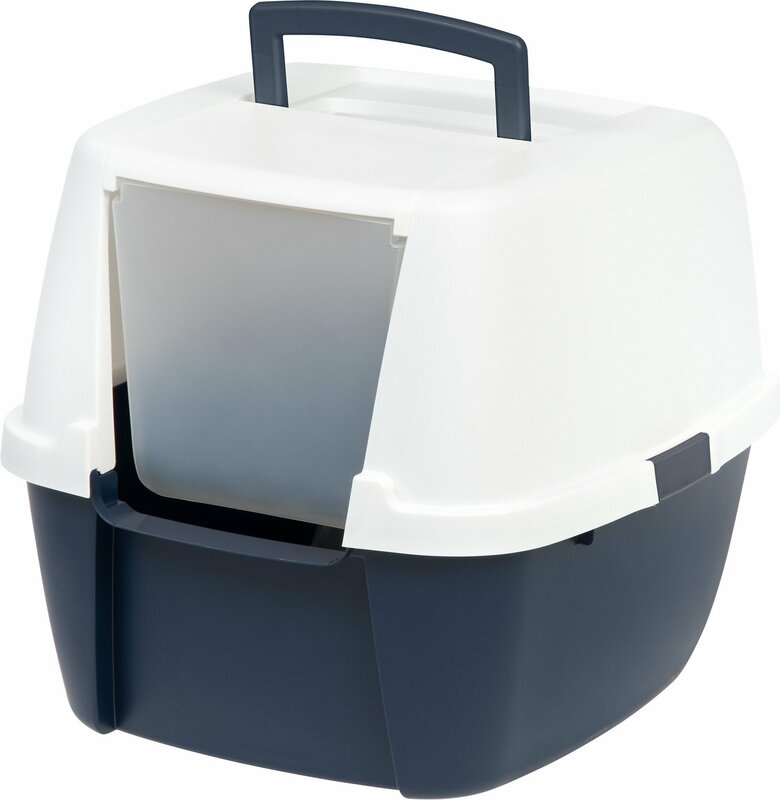 The lid secures to the litter box with buckles and is easy to take on and off for cleaning. 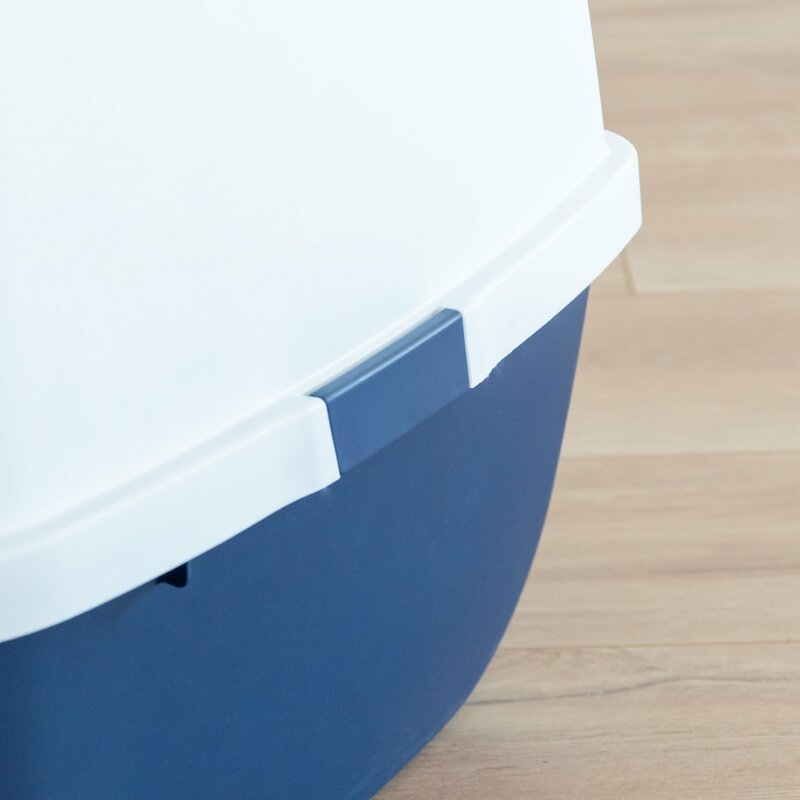 The curved sides of this litter box and included scoop also make cleaning up after your furry friend almost effortless. 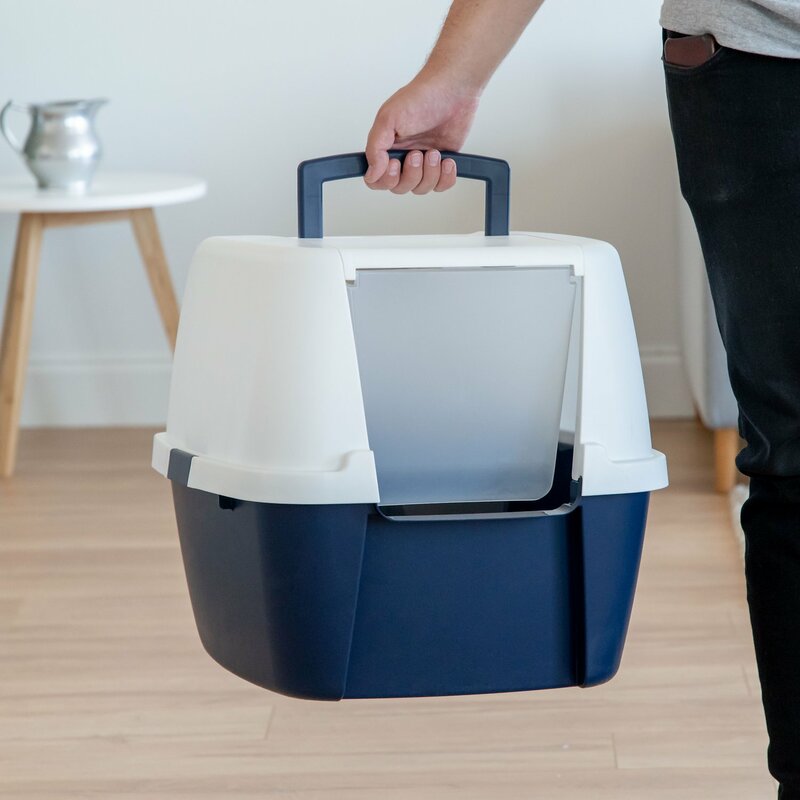 Made in the USA, it features flap-door entry on the lid, which allows your cat access while keeping litter and spray contained inside. 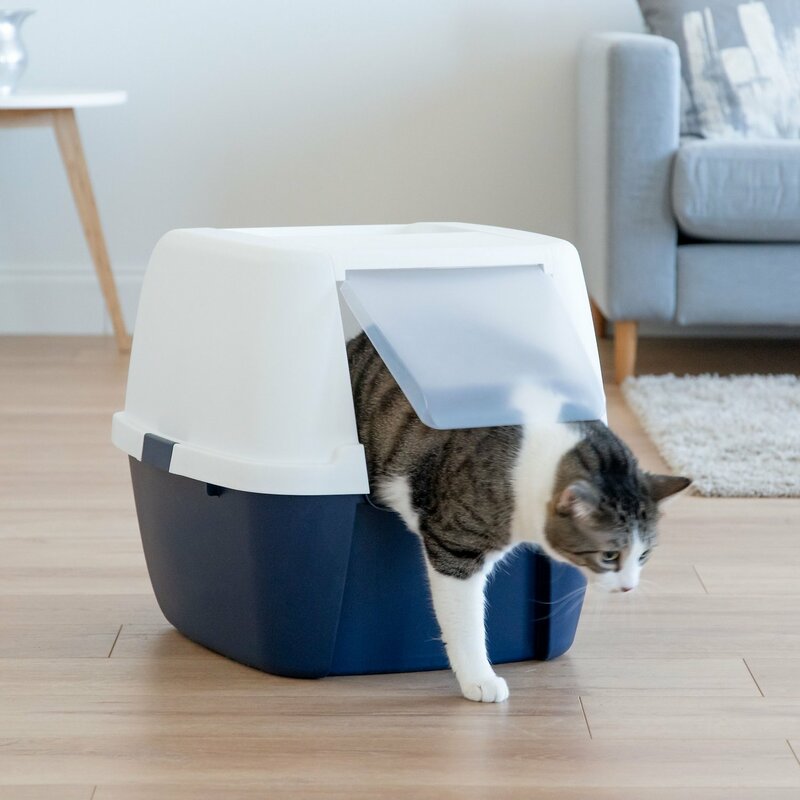 With an easy-to-grip handle, IRIS Jumbo Hooded Litter Box with Scoop can go anywhere your cat needs it. 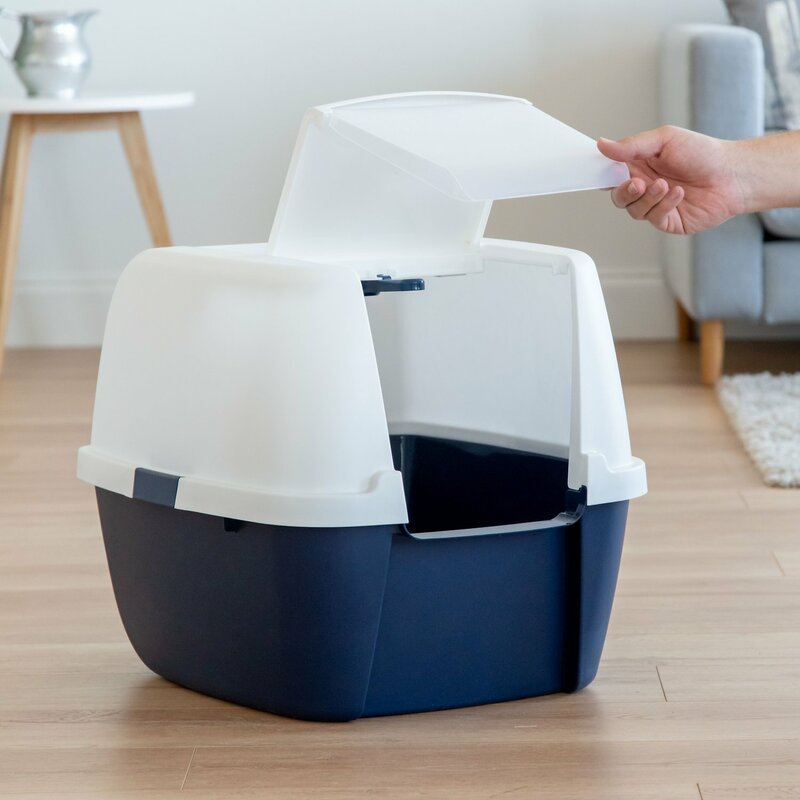 This jumbo cat litter box provides your kitty with tons of space, and is ideal for multi-cat homes. Closed lid with a flap-style door keeps both litter and spray contained. Includes a handle and secure snap-buckles on the lid to allow for easy portability. Curved sides and included scoop make cleaning out the jumbo litter pan simple. Hinged door helps to contain odor and decrease the amount of stink that spreads around your home.